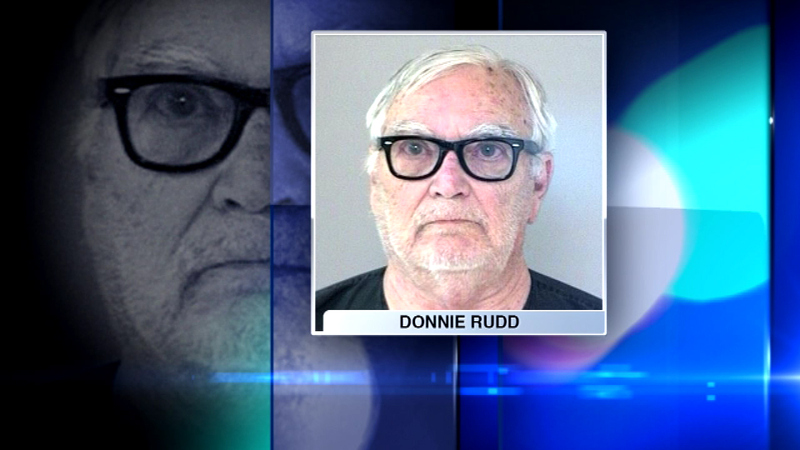 ROLLING MEADOWS, Ill. (WLS) -- Bond was set Thursday for a 72-year-old Texas man charged in the murder of his teenage wife more than 40 years ago in Chicago's northwest suburbs. Donnie Rudd is charged with murder in connection with the 1973 death of Noreen Kumeta Rudd in Barrington Township. He is also suspected in a 1991 murder of an Arlington Heights woman. A Cook County judge initially denied bond at a hearing Monday, where Rudd was not present to due being hospitalized for a leg infection. Judge Joseph Cataldo set bond at $4 million on Thursday, citing the cold and calculating nature of the alleged crime for profit. Rudd is suffering from colon cancer and cellulitis infections of both feet. The former attorney, school board member, and suburban planning commissioner was arrested last Thursday in Sugarland, Texas, about 15 miles southwest of Houston. Rudd is accused of beating to death his then-wife of 27 days and staging the incident to look like a car accident. The case became a homicide after Arlington Heights police exhumed Noreen Rudd's body in 2013. A real estate attorney in Illinois who lost his license in 1994 after being suspected of fraud, Rudd has also been a longtime suspect in the 1991 death of Loretta Teri Tabak, a 59-year-old interior designer who was shot to death in her Arlington Heights apartment. He has not been charged in Tabak's death.